Because we want only the best for you. All sizes directly from the warehouse! 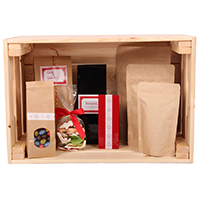 Whether it's tea, coffee, spices or protein powder, this package will set the proper scene! 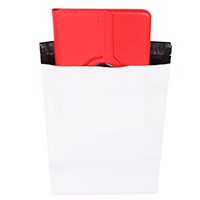 Whether for trade fairs, retail stores or promotional activities, Our bags are suitable for all requirements! For orders of 350 Euros on up you receive free Haribo sweets with your order! In our short videos you will learn more about our Products and their multiple uses. The short videos will show you all about our products and you will find out more about efficient and low-cost packaging. Alongside our wide range of foil bags and paper bags, we also offer sturdy shipping bags and packing tape. Inform yourself easily about each product by viewing the corresponding video-clip. For any further questions don't hesitate to contact us. We hope you enjoy watching, your BFT-team. Der Werbeträger für ihr Geschäft. Lassen sie doch die Kunden Ihre Werbung tragen! You are looking for a special bag or need a made to measure? No problem! No matter what type, size or shape - we will help you! Use our request form for your custom bag! Welcome to BFT Verpackungen, your partner for individual packaging solutions! Every day we encounter packaging of all types of shapes and materials. They protect a wide range of products from external influences or strengthen their sales presence. The possibilities here are almost limitless. And that is exactly what we offer you, because we are specialists at finding your individual packaging solutions! Our range of packaging solutions is extensive and includes the right product for every need. 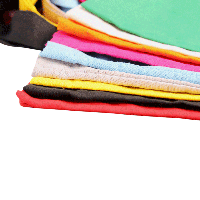 In addition to various bags and pouches we offer package printing which we customize to your liking. Our product portfolio contains these packaging solutions for you: flap bags, foil bags, flat bags such as plastic bags or vacuum bags, lock bags like ziplock and slidelock bags, Doypacks or drawstring bags and pouches, mailing bags, shipping bags, PVC bags, delivery note pockets, customized packing tape designed according to your wishes, and packaging machines such as sealers and vacuum sealers. Custom designs are no problem for us. We produce all packaging solutions according to the size and format that meets your needs. In our online shop you have the possibility of around the clock ordering of your desired packaging from our standard product list. For custom jobs, we gladly receive your requests at any time, and we guarantee an answer within 24 hours. Take advantage of our customer-friendly offer and take advantage of our low prices. We are pleased to stand by your side and be a reliable partner for your individual packaging solutions. The entire BFT Verpackungen Team is happy to receive your requests!